Lifetime Contemporary Folding Chairs are made of high-impact polyethylene, contoured for comfort, and designed for durability. The Powder-coated tubing increases strength and stability. Lifetime Folding Chairs are lightweight, easy to clean and can be used indoor or out. Perfect for home or office use, Lifetime chairs are idea for your next meeting, event or family gathering. Lifetime Contemporary Folding Chairs are made of high impact polyethylene, contoured for comfort, and designed for durability. Powder coated tubing increases strength and stability. Lifetime Folding Chairs are lightweight, easy to clean and can be used indoors or out. Perfect for home or office use, Lifetime chairs are idea for your next meeting, event or family gathering. Modern style and design makes the Multipurpose Chair perfect for adding drama and flair to your space. Use it at your kitchen table, office desk or for extra seating. The square back and seat are both accented by tufted details and pinched edges. The orange fabric upholstery and chrome legs keep the piece fun and youthful. 250 pound weight limit. Set of Two. LOF-209-O Office Chair in Black Style your home desk with the convenient LOF-209-O office chair from CorLiving. 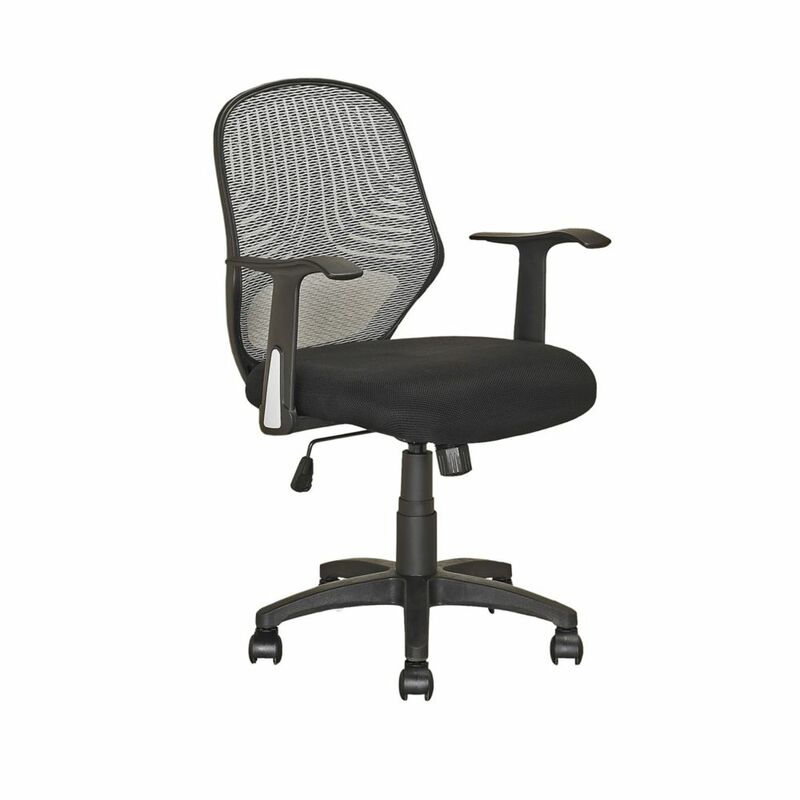 Featuring a fabric seat, contoured tilting mesh back support, gas lift and black legs with rolling wheels. The comfortable, contemporary design will accent any desk setting while offering the option to adjust to your desk height and body shape with ease. A great addition to any home!